Humanity or Sovereignty proposes a new theory of political philosophy based on respect for human fulfillment as the core principle of politics. The book explores the implications of viewing human beings as not principally actors in the market place or rationally calculating self interest machines, but as thinking beings with a sense of empathy and potential to develop good relations with others. A paradigm of "human" political values is developed. - The "human legitimacy principle" developed in the book shows that respect for humans should not stop at national or religious borders. Our current system of competing of competing states is an illegitimate one as it puts the national interest before the human interest. 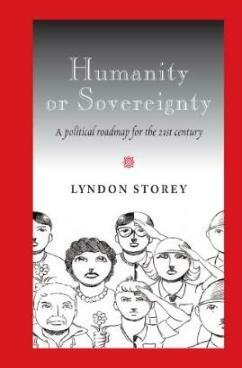 Lyndon Storey has a PhD from Sydney University and is a writer and activist on a range of social justice issues.